When it comes to government funding for mental health services, there’s good news and some bad news. The good news is that the federal government is putting its money where its mouth is. President Obama recently announced that the administration is proposing for 2017 the expenditure of $500 million for a series of two-year mental health initiatives and $1.1 billion for new addiction treatment, prevention and recovery programs. Some mental health experts have noted that states had cut mental health funding during the recession by approximately $4 billion. The good news doesn’t stop there. In addition to these newly promised funds for 2017, the House and Senate passed and the president signed, the $1.1 trillion 2016 budget bill (H.R. 2029) on December 18, 2015. This bill includes further investment in behavioral health issues, such as mental illness research, veterans’ services, and substance use disorder treatments. Important to note is that the 2016 budget bill includes the largest increase to mental illness research since 2012. The bill also provides funding for various opioid abuse prevention initiatives, such as programs to train first responders with the use of devices that rapidly reverse the effects of opioids. Nevertheless, what may look as a forward-moving trajectory may in fact be just treading water. In brief, state funding is generally in a downward spiral. While the increased federal funding is important, it does not make up for a trend toward decreased state-level mental health funding overall. Some mental health experts have noted that states had cut mental health funding during the recession by approximately $4 billion. The state of mental health in our nation is one of great possibility. To tackle the challenges ahead of us, we must all roll up our sleeves and do our part. Federal action is key, and the individuals and families impacted by mental illness and addiction in this country cannot afford to wait any longer. I am pleased to see Republicans and Democrats in the House and Senate working diligently to seize this moment. Pennsylvania Representative Tim Murphy, a practicing psychologist and leading voice in Congress on how to improve behavioral laws and policies, did just that when he reintroduced legislation entitled, “The Helping Families in Mental Health Crisis Act,” H.R. 2646. The Senate has a pending bill that somewhat mirrors Rep. Murphy’s bill. In brief, H.R. 2646 touches on many parts of the mental health system, including proposals to improve early intervention and prevention, expand the mental health workforce, create suicide prevention programs, recognize peer-to-peer efforts, authorize grants for crisis intervention trainings for law enforcement officers, and increase mental health education and awareness in educational settings. Of particular interest are proposals that address changes to privacy laws and the Institutions for Mental Diseases (IMD) exclusion. Notably, there is some discussion that the president’s $500 million lump sum could go toward CMS for Medicaid reimbursement instead of funneling it to other programs. 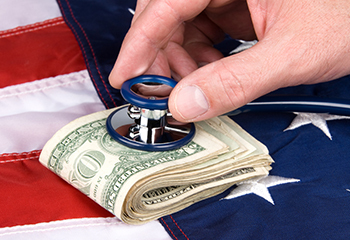 The final analysis suggests that 2016 is the year for behavioral health system reform. The passage of the budget, the president’s commitment of new funding, and pending Congressional bills indicate there’s a lot to look forward to. Beacon applauds this attention from the federal government. The timing is excellent as Beacon works towards improving its own contributions to behavioral health – faster identification of symptoms, more effective treatment and ultimately sustained recovery for all.